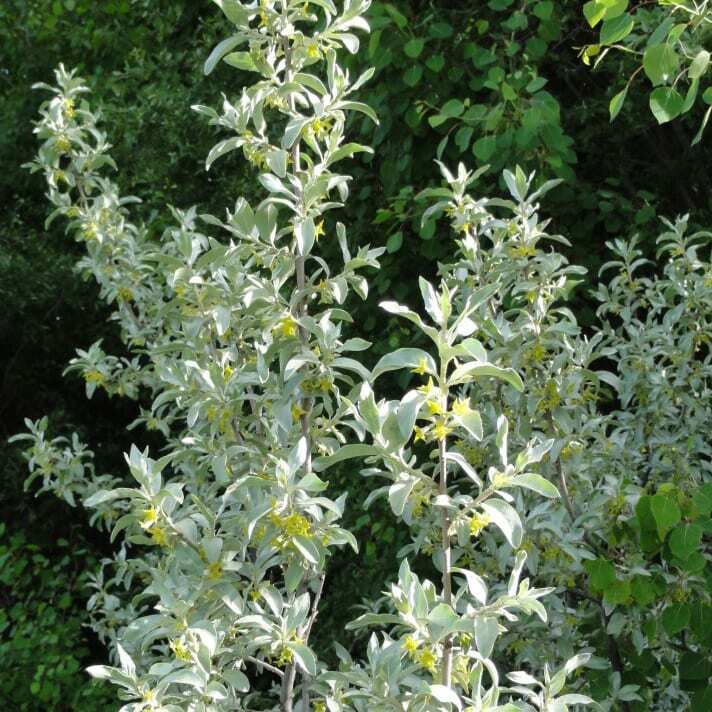 This shrub is very striking because of its silvery foliage. The 1 1/2 to 3 1/2 long, 3/4 to 1 1/2 wide, oval to narrowly ovate leaves are covered on both sides with silvery white scales. The leaves are the showiest of the Elaeagnus species. The fragrant silvery-yellow, tubular 1/2″long flowers are produced in May. The fruit is silvery 1/3″ long egg-shaped daupe that ripens in Sept to Oct.